I like that you chose black and white. The movement of the wings is so visible. While I love the colors in these little guys in this instance I enjoy the absence of color, having more focus on shapes, the relationships between them, light/dark and movement. Wonderful image! 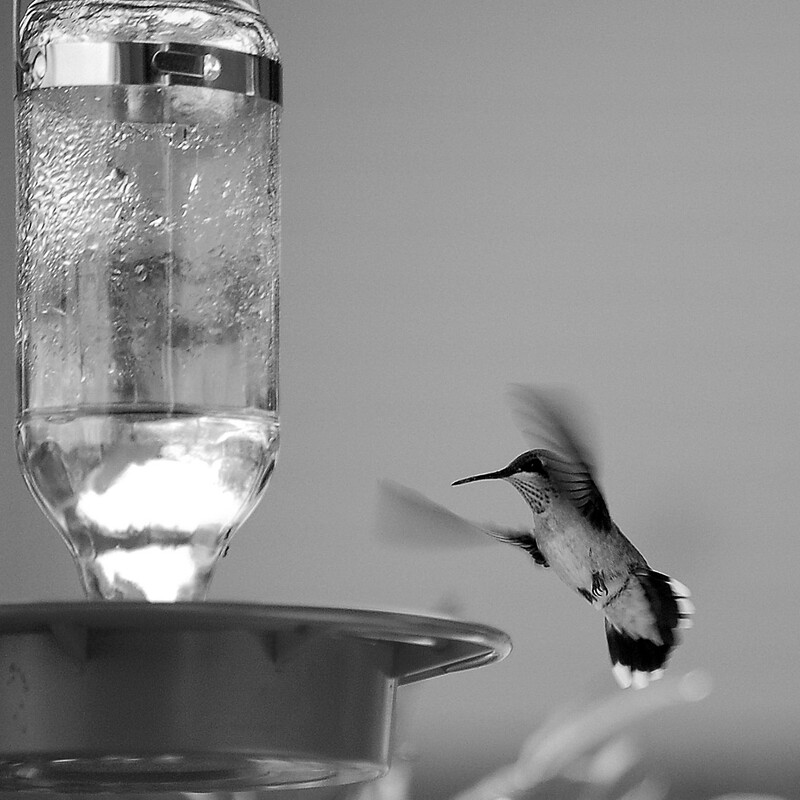 Hummers can be tricky. I count myself lucky when I get a good shot!